Red Shouldered Yokohamas were first developed in Europe from Japanese breeds brought to Europe by French missionaries. 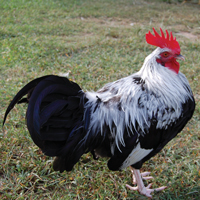 Males have impressive long tails and saddle feathers. Females are good layers of light cream-colored eggs. Yokohama chickens tend to be quiet and gentle. EXHIBITION NOTE: We cannot guarantee that individual birds will be show quality. 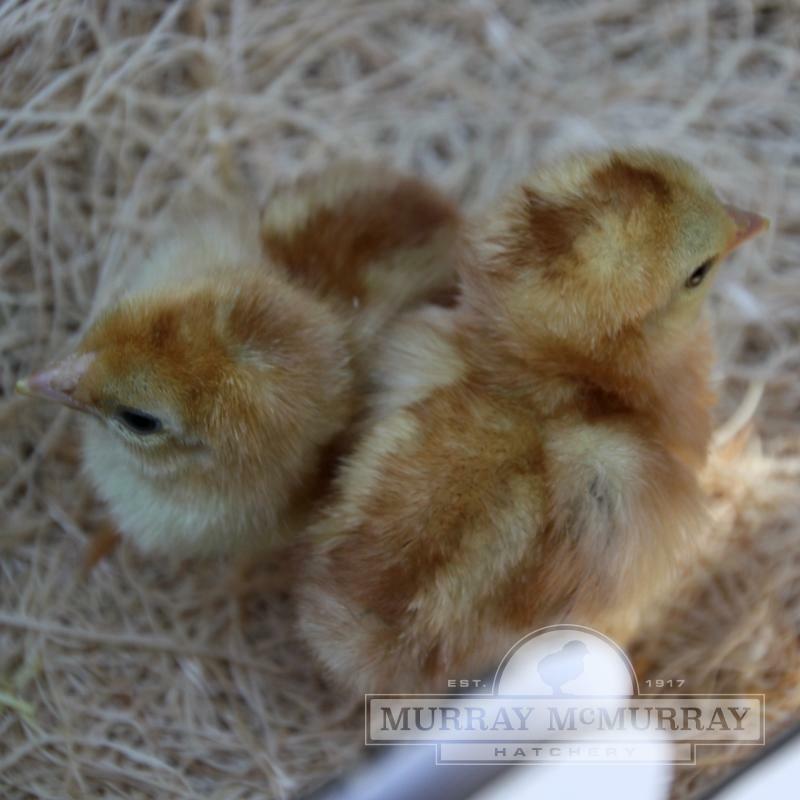 We suggest ordering multiple chicks and then selecting the best for show. 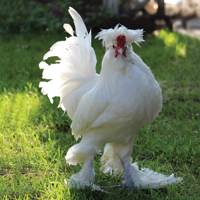 Special care will need to be taken with any long-feathered breeds to prevent feathers from breaking. What is the ratio of males to females in a straight run? 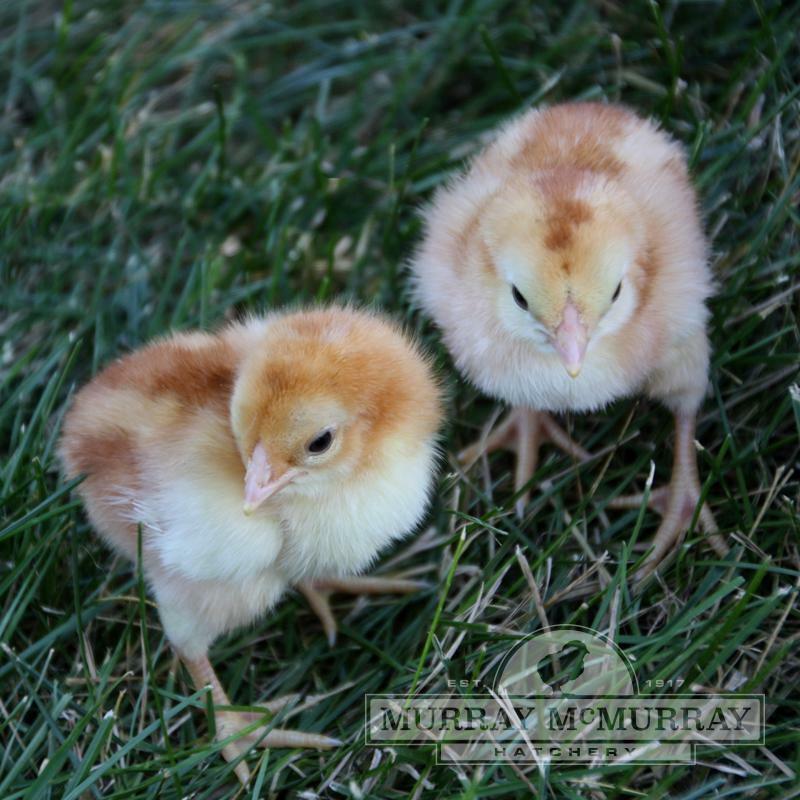 A straight run means they are sold as hatched, and not sexed. A hatch is generally close to 50-50, but it's luck of the draw as to what is picked up and put in the box when your order is packed. 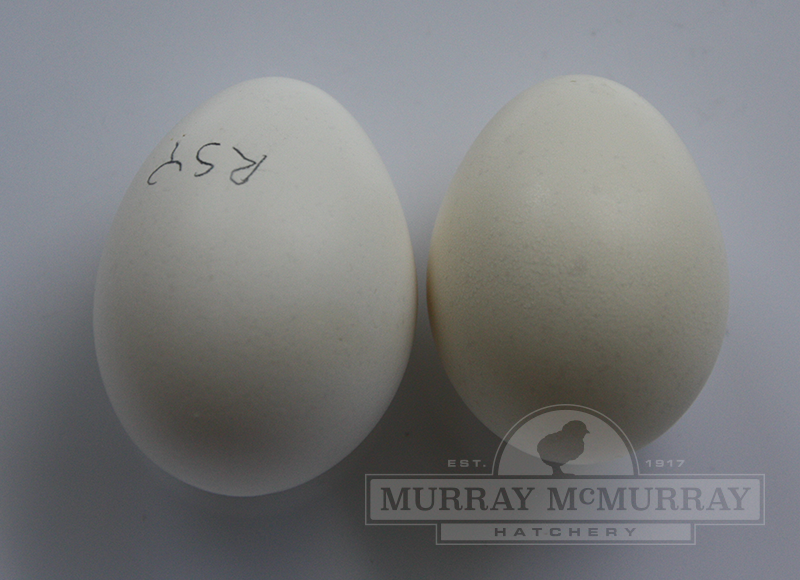 Type and ConformationI have ordered from all hatcheries to get birds to the standards. 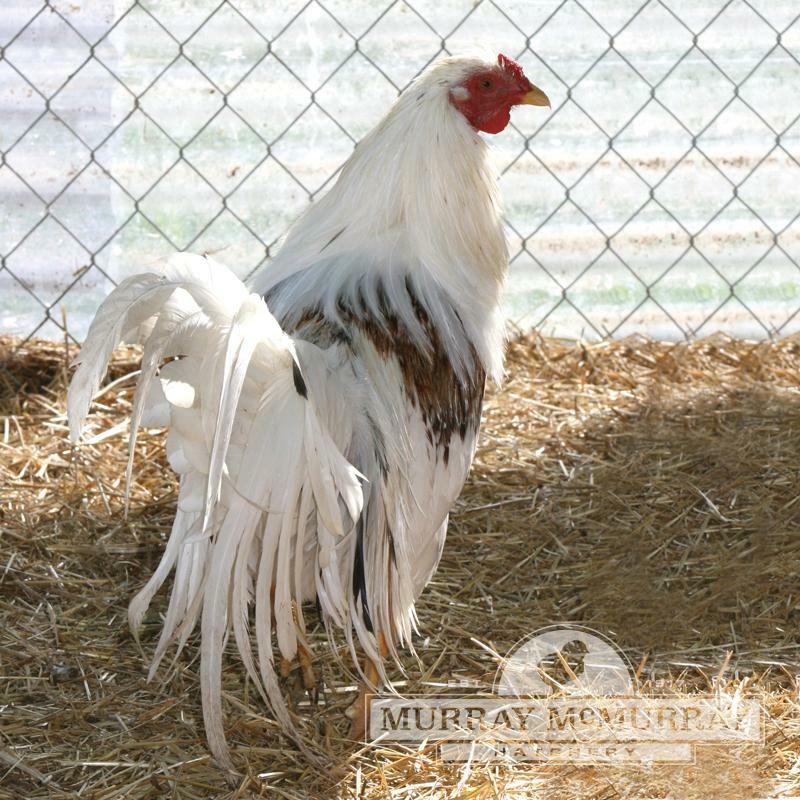 McMurray has by far had the best of best birds. They are to the standard. Of course not all will show, but I can actually put these with my breeders as good specimens. Thank you very much. Sweet BirdsI ordered 4 but only two have made it to adulthood - they are smaller birds and very friendly, which in Northern Minnesota can make preditors fat. The female bird is quite timid and well tempered. She is also very small, not quite a bantam, but just about. 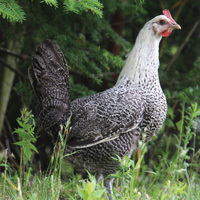 The plumage is not striking, but the rich brown/red speckling has a lot of potential. She began laying around 28 weeks and lays small cream eggs 1-2 times a week. She lingers on her eggs and I believe she may become broody when the weather warms up. She is also a very vocal bird. The male is extremely friendly and has learned to fly up to my arm for treats. He began crowing much later than my other roosters and is also on the smaller side. His tail feathers are not particularly long and fairly sparse, but he is still a very handsome boy and his personality is wonderful. He takes very good care of his girls and is not particularly aggressive about breeding. I would order these birds again - they are doing okay with other, fluffier birds up here in the north with open access to a snowy run, which they are often out in. They forrage well and socialize well. A very striking pair. 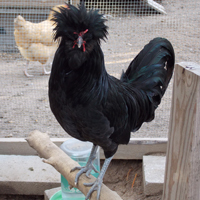 As a warning - the male was VERY slow to begin crowing and I took on a spunky little bantam rooster to keep an eye out on the flock. The male is not particularly diligant about keeping the girls safe - he's much more interested in making sure they are well fed and snuggled.